How Much “Screentime” is Too Much for Toddlers? 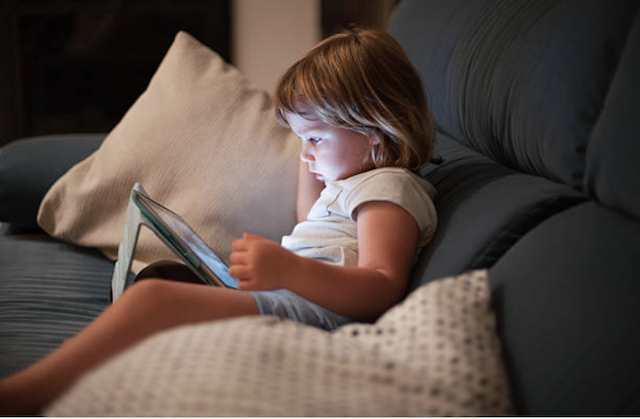 CornerStone Academy > How Much “Screentime” is Too Much for Toddlers? Times are changing, and everyone, has embraced technology and parents have not been left behind. Parents have invested in gadgets such as tablets, smartphones, and computers for themselves and their kids with the belief that a child needs to be up to date with technology. While all this is great, the big question is, “How much screen time is too much? This is what you need to know. Your child is getting too much screen time if the time he is spending on the gadgets is affecting his or her academic grades. A lot of research has been carried out on the effect of screen time for kids. Researchers at the Cambridge University researched children (aged 14) and then looked at their GCSE when those kids reached 16 years old. The results showed that students who had added an hour to their screen time had lower GCSE grades. Their points had dropped by about two grades. The 14-year old students said that they watched TV or used a computer for about four hours on a daily basis. Those who added another hour of screen time had even lower points. Their grades decreased by another grade. The research showed that a lot of screen time led to lower academic grades. Even if the pupils increased their study time and also increased their screen time, their grades still suffered. If your child cannot tear himself from the computer, Television, smartphone and so on then, he has too much screen time. Research shows that activities involving these gadgets are very addictive. Therefore, if your child is having too much of them, he may not be able to get away from them. When it reaches this stage, you need to regulate the time he is spending on the screen. It is essential for kids to know how to use the current technology. However, this does not mean that they should abandon everything else. Some things that are vital for the growth and development of a child and examples include face to face communications and play time that is not structured. If your child cannot make room for these things, then they have too much screen time. They are becoming so used to the gadgets to the extent that they do not have room for other things. You may notice that your child is no longer interested in going out to play with their friends, they prefer to eat in their rooms as they eat something and they cannot have a conversation because they are always doing something on the screen. Every child is unique, and while some know the importance of balancing screen time with other activities, others do not know how to do that. Therefore, it is your responsibility as a parent to come in and help your child before excess screen time ruins other aspects of their life. There are applications that you can use to regulate their screen time. Alternatively, you can set and enforce rules on the amount of screen time that your child is allowed to have. Find more information on child care at csawis.com.